Paris is known as the City of Love. It is a place full of rich history, beautiful sites, and tasty delicacies. The joy of travelling around in Paris is something that many people want to experience within their lifetime. If you are a tourist who is travelling to Paris for the first time, you might just find yourself overwhelmed because you may not even know what to do or where to go first. If you have limited time, you might try to cover as much as you can; however, you should remember that is an experience that is not meant to be rushed but to be savored and enjoyed. The good thing about travelling in Paris is that there is now a way to make things easier for a tourist. They no longer need to waste their time figuring out where to go and what ride to take. 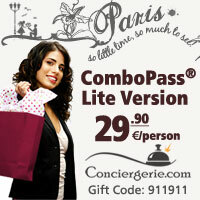 The best thing that they can do is to get The Paris Visite Pass or also known as the Paris metro pass. This pass was created so that tourist can experience the wonders of travelling in Paris and at the same time save money by doing so. Paris is an expensive place, so if a visitor can save money, that would always be the best route to go. So here are some of the benefits that visitor can get using the Paris metro pass. First, they have unlimited travel time using the Paris Metro, Buses, Suburban Trains, and Trams. That is wonderful because you are not hassled or stressed into buying so many different tickets while trying to figure out the kind of transportation that you need to ride. The best thing about it as well is that it is unlimited for the journey travel time. The basic wonder about this pass is that it is activated and it can be used for the duration of the time frame that you need it for. It can be good for two, four, or even six days. Another great thing is that the Metro Train system in Paris is open from 5:20am to 1:20am. You don’t need worry about what time you travel because you can have an early start and go home late as well. No longer do you need to be in such a rush. You can fully experience Paris in all its beauty and splendor by simply purchasing the Paris metro pass. It is the ultimate sightseeing card you need in Paris.